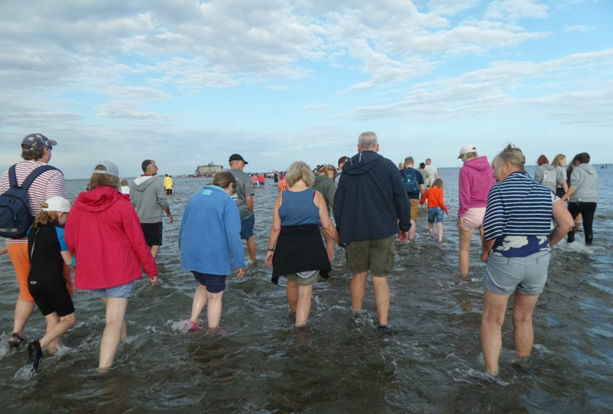 Jonathan Dodd returns with his Sunday column and this week takes us on his journey to the annual Fort Walk. See why he’s planning to return year after year. Many years ago I was on holiday in Turkey with my family. We had a fantastic time, and we discovered just how friendly, co-operative and commonsensical the Turks were. One thing was the Dolmuses. These were minibuses, with around 12 seats. 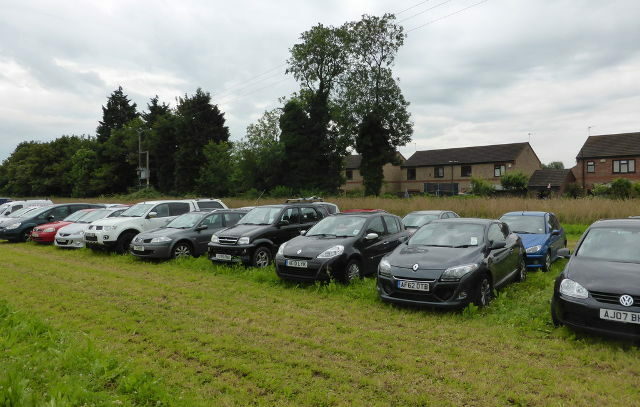 It seemed like everyone was saving like crazy to buy one of these, a feat that amazed us, because cars were the same price as here in England, but wages were considerably lower. Once they got hold of one, they started a Dolmus route. This basically entailed driving from one town to another, picking up people who wanted to go there. Like an unofficial bus service. You would stand by the side of the road, and in no time at all one of these would pull up, you’d climb aboard, and pass your minimal fare up to the driver. If you had a lot of stuff to carry, no problem. Everything would get piled on board, people would adjust themselves, and off you would go. Any time of day or night, it seemed, you could go anywhere and be guaranteed of a ride there and back. I loved it. A few years later we stayed in Rhodes, which lies within sight of the Turkish coast, and there was no way we could get from one place to another, because there was only a minimal coach service. That was disappointing. I really liked Turkey. There was one place we went to twice, because it was so good. 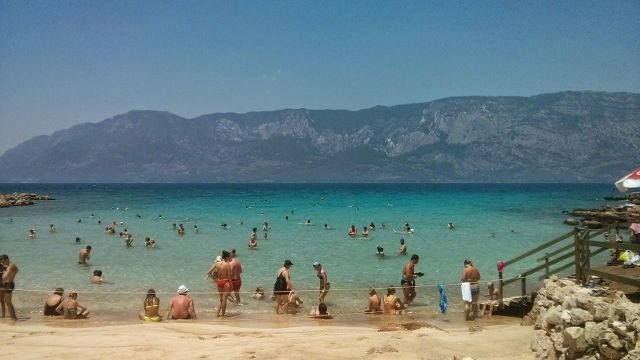 It was called Cleopatra’s Beach, because it was a small bay with the most perfect white sand, made of extra-large grains, a bit like walking on a swathe of ant eggs. There wasn’t a beach like that around for miles, and the sea was blue and safe for the children, and it was ideal. We were forewarned that this was a famous historic site, and we should stay within the designated areas, and most importantly, we should brush all the sand from our feet before leaving, because this was sand that had been specially imported by Mark Anthony, for a tryst with the queen herself, two millennia ago. I still have no idea whether that was just a legend, but it was a very special place, and when we got there we discovered that nobody took any notice of the restrictions, and the beach was guarded by a thin piece of string between metal stakes hammered into the ground. There were no warning signs or guards making sure anyone behaved. But everyone did, more or less, and we had such a good day there that we went back. By Dolmus, of course. I was reminded of all that last weekend, when we went for our first Fort Walk. It seems crazy, after all these years, to admit that we’ve never been before, but for some reason we had never managed to get our act together, and we couldn’t quite work out how we were supposed to get there. Or we just plain missed it, and read about it instead in the pages of the County Press, or logged on to OnTheWight.com. This year we discovered that two of our friends hadn’t either, so we decided to take the plunge and go. We’re optimistic people, so we chose to drive, and we left early. We had some idea where to go, and we reckoned we would join a stream of vehicles and walkers converging on wherever they were also headed, and so it turned out. We drove round some backroads I’ve never driven down, so it was a good thing I wasn’t driving. All my Wight life, I’ve driven past Tesco to get to Bembridge, and I know where the airport is, and Oasis, and St Helens. 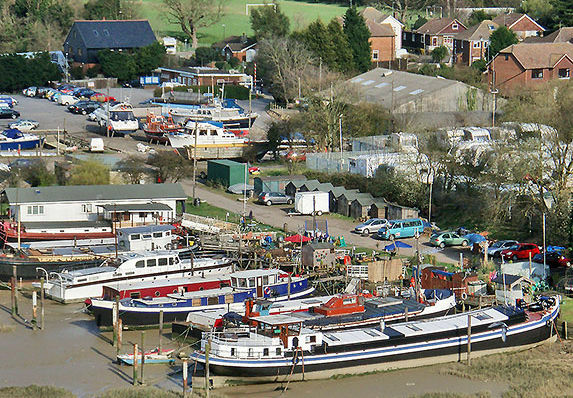 I’ve seen the Bembridge houseboats, which always reminds me of a previous life, when I lived for a scary year on a converted WW2 motor torpedo boat, on a mud berth in a boatyard in Rochester, under the M2 bridge. The village at the top of the hill was called Borstal, after the first youth correctional facility that was built there, and our friends liked to say that they knew people in Borstal. I’m almost ashamed to say that I had never been to the Duver before, and I didn’t even know it existed. I’ve looked it up since on Wikipedia, and it turns out to be an Island word for sand dunes. So there’s a St Helens Duver, and a Seaview Duver, and Dover Street in Ryde used to run down to Ryde Duver. We drove on and on, past roads with cars ominously parked illegally on one side, getting narrower and narrower, and choked with people walking downhill, towards the sea. We were headed towards a National Trust Car Park, which turned out to be full, and we had to turn back. Eventually we returned all the way to St Helens, which by now resembled a huge car park, a bit like the Car Boot Sale on Sundays. We found a place where we could mount the grass and drive round the perimeter of the cricket pitch and park at the edge, by the road. If we weren’t supposed to, I apologise on behalf of all of us for doing that, along with thousands of others. We never went near the wicket, and stayed on the grass that hadn’t been mowed. This was a relief, because we were thinking by then that we had missed our chance, and it was too late. We would just have had to go to a pub instead, and plan to get there even earlier next year. We left the car and joined the throng, all walking purposefully downhill. It turned out to be a very pleasant walk, and the countryside was lovely in the sunshine, especially when Bembridge Harbour came into view, and the sparkling blue sea. 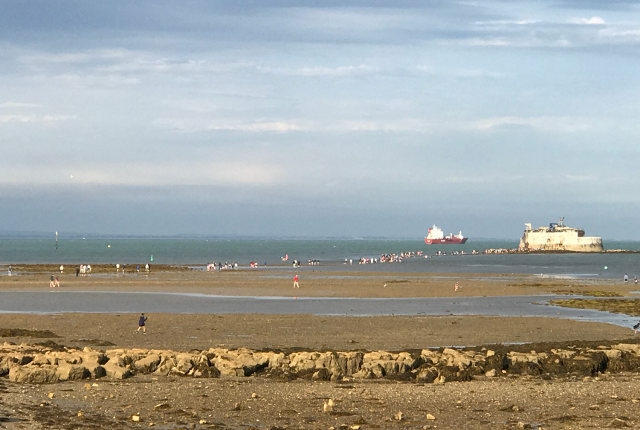 We decided that a walk from Ryde to Bembridge one day would be a good idea. We’ve walked to Seaview before, but not beyond. Eventually, we rounded some trees and the whole shoreline came into view. 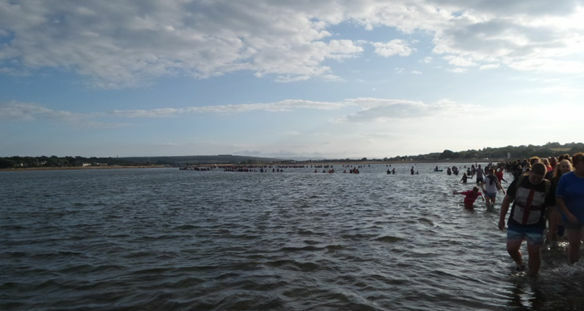 It looked like a scene from the recent film masterpiece Dunkirk, with lines of people half-submerged in the water, headed out to sea, not to a fleet of small ships, but to the massive fortress at the entrance to the bay. I looked it up on Wikipedia the following day, and I had been wrong for years in calling it Bembridge Fort. There’s already one of those, built high on a cliff, called Culver Fort. The National Trust owns that. The one in the sea is officially called St Helens Fort, and it’s owned by some company and closed up. 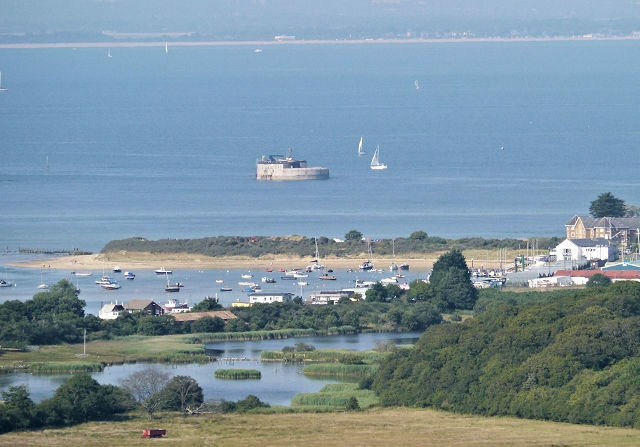 It’s what’s known as a ‘Palmerston Fort’, and was built, along with the other Solent forts, in the 1860s. I once watched a programme by David Dimbleby, in which he sailed round the South Coast, and visited HMS Warrior in Portsmouth Harbour, which was so far ahead of its time, being the only steel engine-driven warship on the high seas. The trouble was that everyone else was bound to build this type of ship, and the Solent defences were going to be inadequate, so all these islands we’re so familiar with were built at enormous cost, and they’re only 150 years old. St Helens was the only one near enough to the beach to be built by creating a causeway to drag everything needed for construction out to the artificial island they created specially for it. We walked down the rock beach, following a long line of people, wondering what happened to the fine smooth surface they must have built to transport all that rock and metal. Either the sea wore it all away over the years, or they deliberately destroyed it after they finished building it, because it wasn’t easy going for feet underwater. After a while, picking our way amongst the slowly-moving horde, our feet became wet, then our ankles, and our shins, and then our knees. We were glad that we had decided to wear sensible footwear and short trousers. The water was churned up by all those feet, and we had to feel our way as we went further from the shore. 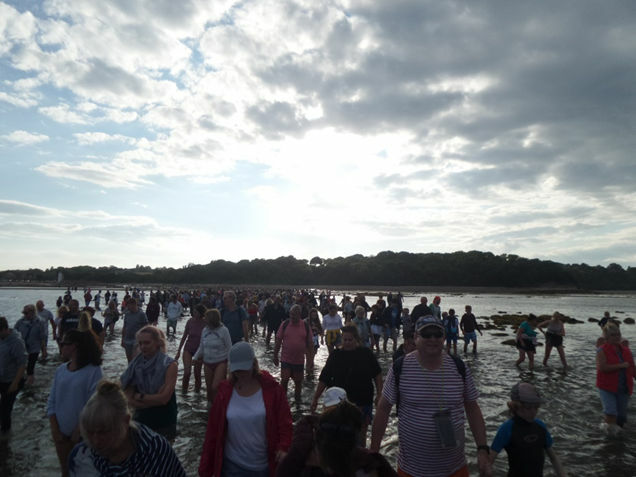 All the time we could see people approaching us from Bembridge itself, along another causeway, wading through deeper water. Eventually the two streams merged, and we could feel the path rising as the water continued to recede from the shore as low tide approached. There was an inflatable lifeboat in attendance, but no other signs of officialdom. It seemed amazing that so many people wanted to do this weird thing. There were children messing about in the water, and dogs, some of which were having a wonderful time, and others which were miserable and having to be carried. We were all filled with a sense of purpose and adventure, as we made our unnatural way towards the fortress on its rocky island that shouldn’t have been there at all. Once everyone arrived there was the obligatory stop for photos and astonishment at actually being there, and then there was the decision to be made about how to make our way around the fortress itself, anti-clockwise, for luck, apparently, before going all the way back. 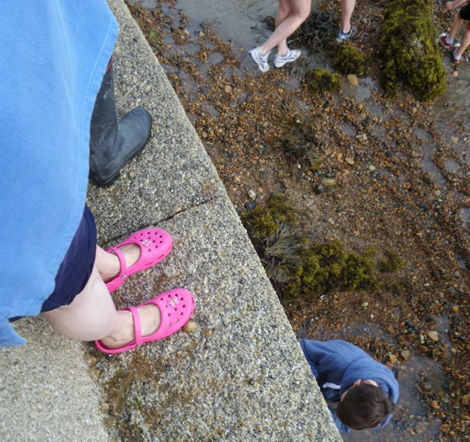 We had a choice, either to make our way between the blocks of seaweed-swathed stone and rockpools, or to climb up some steps and walk round a convenient ledge about 2 metres above what stood for the ground, that would be under water 99% of the time. This ledge was very narrow, and there was no going back once you committed yourself to it, and progress was very slow, because people were stopping to take selfies and photos all the time. It was pleasantly frightening, like one of those rides at adventure parks you take between the really scary ones. The whole thing was built from precisely-hewn blocks of rough rock, quarried from the shore we had walked over from, and studded with limpets. We could look up at the windows, each of which used to be a gun port, but now have a window fitted, just like you would find in your house. There were no guards, or attendants, or ice cream sellers, or shops selling drinks and hats and ice cream and Fort Walk memorabilia. We just edged our way round the wall, and had to jump down when we got back to the beginning, or squeeze between girders and climb down some rusty steps. And then trudge back, down the pebble-strewn causeway, through the water, now so low it almost uncovered the whole journey, and back up the hill to St Helens. I thought about the sailors and soldiers who spent so many months out there, in tantalising view of the coast, and I thought about the causeway, so invisible under the water, and only walkable for so little time, and I thought about all that work, quarrying the rock, and trundling it out to the man-made island, and all that construction effort, and I thought about the 150 years it had been there, and that it had never been involved in any wartime activity, and then how it had been sold off in the 1960s to a faceless corporation and never used since for anything, and then I thought about all those thousands of people who made the pilgrimage to it every year, and why we did that, and I didn’t care, because I was glad we did. I expect we’ll do it now every year. Because we can. And I expect there won’t ever be warning signs or souvenir shops, and I expect everyone will behave well, more or less, because people generally do.